Do you remember when your mom said ‘Eat your broccoli!’? Do you remember how annoying that was? Well, she was right! And the reason is sulforaphane. Sulforaphane in broccoli can greatly reduce your cancer risk, detoxify your system, and even work towards reducing Alzheimer’s. It all comes down to the fact that inflammation eventually kills you and sulforaphane can help fight inflammation. No matter how healthy you try to live, you will have inflammation going on somewhere in your body—whether it’s a reaction to pollutants you breathed in, from sunlight, as a reaction to diet and even exercise, or simply aging—there is no way to escape inflammation. Mostly, our bodies do quite a good job of keeping everything under control but given the high exposure to the toxins of a modern world, it makes sense to support our bodies in fighting inflammation. Precisely that’s what sulforaphane does—and very effectively. I discovered that not only broccoli, but all so-called cruciferous vegetables contain sulforaphane in varying amounts. 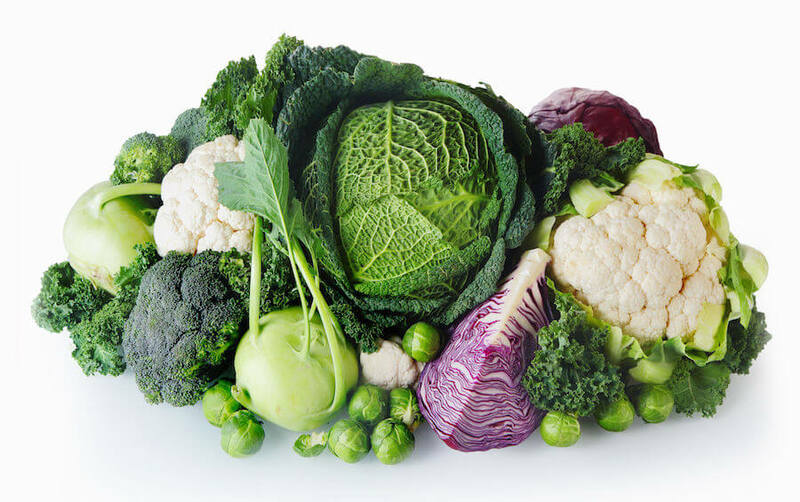 What are cruciferous vegetables, you might ask? The word ‘cruciferous’ is derived from the petals having a cross-like shape. Think broccoli, brussels sprouts, garden cress, mustard greens, turnips, cabbage, kale, watercress, kohlrabi, broccoli, radish, cauliflower, rocket, and bok choy (yummy!). The most effective way to get lots of sulforaphane into your body is by eating broccoli sprouts. I’ll go into details later. Consuming sulforaphane regularly causes a reduction in blood inflammation markers, LDL and blood glucose.1 2 Furthermore, it enhances the excretion of harmful compounds we are all exposed to on a daily basis. Sulforaphane can aid in detoxification of airborne pollutants. Just 24 hours after consuming a broccoli sprout smoothie, people washed out 61% more of harmful benzenes, which are found in airborne pollutants and cigarettes.3 Benzene is a carcinogen of which smokers consume up to 2 mg of daily. Compare that to non-smokers who consume only 0.2 mg probably from air pollution and secondhand smoke.4 Eating just 4.5 servings of raw cruciferous vegetables per month reduced the lung cancer risk of smokers by 42%, and there was an even stronger association for those who smoked for less than 30 years.5 Amazing right? So if you smoke, the best thing to do is quit. But if that is not an option, definitely make sure you are getting enough sulforaphane into your system. In healthy women, sulforaphane accumulates in the breast tissue where it may act preventatively against breast cancer. From animal studies we know that sulforaphane can turn on an important gene involved in detoxification within breast tissue.9 There are quite a few studies showing that women who consume cruciferous vegetables at least once a week had between a 17-50% decrease in breast cancer risk.10 This huge variation is probably due to the fact that (1) the bioavailability of sulforaphane is extremely varied in cruciferous vegetables and (2) it greatly depends on how you eat them; we’ll talk more about this in the next blog post. Some areas of your body are especially sensitive to inflammation. One of them is your brain. 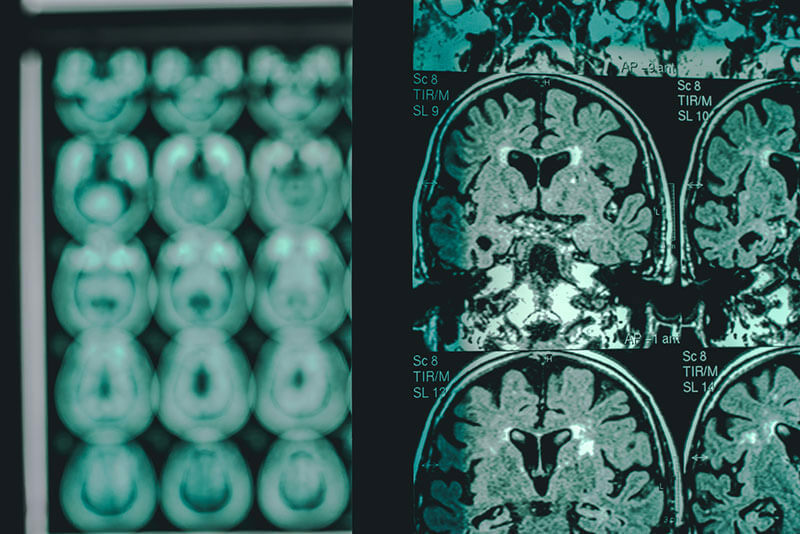 Neurodegenerative disease such as Alzheimer’s, Parkinson’s and Huntington’s disease have all been linked to brain inflammation. Researchers have shown that sulforaphane can cross the blood-brain barrier in mice11, so we expect this to be similar in humans, which means it can also have an impact on processes in the brain. This is super exciting, as it shows that sulforaphane taken in adolescence, may act as a prophylactic for depression and may enhance stress resistance. So parents, although this has only been shown in animals, it definitely can’t harm to feed your kids cruciferous vegetables on a regular basis. In studies involving mice, researchers induced depression by inflammation and then showed they could reverse it by giving the mice sulforaphane. They even went as far as showing that sulforaphane can decrease depressive symptoms with the same efficacy as Prozac.14 This has only been shown in animals but because we know sulforaphane decreases inflammation in humans and we know inflammation can cause depression, it’s reasonable to hypothesize that sulforaphane may decrease symptoms of depression. Even our largest organ – our skin – is affected by sulforaphane. Topically applied, three-day old broccoli sprout extract protected human skin from sunburn.16 So maybe we will soon be finding broccoli sprout extract in our sunscreens and after sun products? It certainly wouldn’t surprise me. To sum up, there is plenty of evidence showing links between the consumption of sulforaphane, found in cruciferous vegetables, and the reduction of certain cancers and cardiovascular risks, as well as improvements in neurodegenerative disease and in detoxification of airborne pollutants. Currently, there are 12 clinical trials investigating the effects of sulforaphane, four looking into links with autism, three looking into it as a cancer treatment, and the rest looking into all sorts of possible treatments from allergic rhinitis to schizophrenia. This means we will get new insights very soon. What you can do to maximize your dietary intake. Because simply eating broccoli soup every day won’t do the trick. Stay tuned. You can also sign up for our mailing list and get notified when we publish part two and three of this series. Previous Previous post: Microdosing LSD: Smart Drug or Placebo?